Today, THCB is spotlighting Lightbeam Health Solutions. Lightbeam is an end-to-end population health management solution, which means they build everything from the ground up (i.e. no acquisitions or 3rd party interfaces are used). “Interface to innovation” as Jorge Miranda, CRO of Lightbeam, states, allows Lightbeam to build a health system’s value-based contracts relatively quickly. Their main focus is to generate data insights for ACOs and other provider systems, to engage care teams in the coordination of patient care. This is Lightbeam’s 6th year in the health care field, and with 100 customers and over 20 million patients in their enterprise data warehouse (EDW), they have no signs of slowing down. Lightbeam has 4 main focuses: data ingestion, data insights, the engagement of the team with the data gathered, and the patient outcomes that result from that data. Lightbeam seeks to use their insights to empower care teams by giving the information back to the caregivers, physicians, and patients. According to them, this creates more transparency in the entire process as well as allows the patient and caregivers to play an active role in their health care process. The ultimate value that clients (health systems or providers) receive from Lightbeam’s system is cutting costs and improving quality. Lightbeam does this by monitoring engagement numbers and patient outcomes based on the data and insights they gathered, ensuring costs savings for clients as well as an effective approach to cutting the high cost of care today. Lightbeam’s ultimate goal is to replace a manual process that is currently being done by multiple people and using multiple resources, to refocus the target on improving care for everyone involved in the health care system. 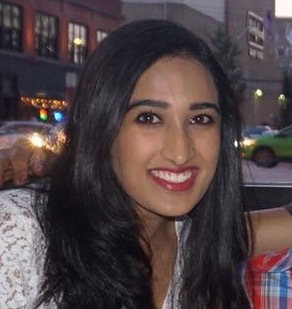 Zoya Khan is the Editor-in-Chief of THCB as well as an Associate at SMACK.health, a health-tech advisory service for early-stage startups. A Trump administration regulation issued just hours before the partial federal shutdown offers quiet hope for civility in government. What happened, on its face, was simple: an update of the rules governing a particular Medicare program. In today’s dyspeptic political climate, however, what didn’t happen along the way was truly remarkable – and may even offer some lessons for surviving the roller-coaster year ahead. A regulatory process directly connected to Obamacare and billions in federal spending played out with ideological rhetoric completely absent. And while there were fervid objections to the draft rule from those affected, the final version reflected something that used to be commonplace: compromise. Think of it as Survivor being replaced by Mr. Smith Goes to Washington. Or, perhaps, a small opening in the wall of partisan conflict. More on that in a moment. First, let’s briefly examine the specifics. Leaders in hospitals and health systems as well as post-acute care providers such as skilled nursing facilities (SNFs) and Home Health Care (HHC) agencies operate in a complex environment. Currently, the health care reimbursement environment is largely dominated by fee-for-service models. However, acute and post-acute leaders must increasingly position their organizations to prepare for, and participate in, evolving value-based care programs—without losing sight of the current fee-for-service reimbursement structure. With that said, the call to action for acute and post-acute providers working at both ends of the reimbursement spectrum is real. The time is now to innovate, test and adopt new post-acute care models to support each patient’s transition from hospital to post-acute settings, and eventually home to enable a better care experience for patients and their care teams. This is especially relevant for Skilled Nursing Facilities (SNFs) and chains that meet the current Medicare requirements for Part A coverage. Increasingly, the SNF industry is under pressure from the Medicare program to improve coordination and outcomes. Medicare’s hospital readmission policy and value-based purchasing program (VBP), bundled payments, and ACOs encourage SNFs, and other post-acute settings, to avoid readmissions. In addition, earlier this year, the Centers for Medicare and Medicaid Services (CMS) finalized a new patient-driven payment model (PDPM) for SNFs, which will go into effect on October 1, 2019. The overhaul of the entire system will require significant staff focus and operational changes. Can CMS’ Proposed ACO Changes Really Help Medicare Beneficiaries? Earlier this month, the Centers for Medicare and Medicaid Services Administrator Seema Verma proposed bold changes to Medicare’s Accountable Care Organizations (ACOs), with the goal of accelerating America’s progress toward a value-based healthcare system—that is, one in which providers are paid for the quality and cost-effectiveness of care delivered, rather than volume delivered. CMS has created a number of ACO programs over the last six years in an effort to improve care quality and reduce care costs across its Fee-for-Service Medicare population. In a Medicare ACO, hospital systems, physician practices and other voluntarily band together and assume responsibility for the quality and cost of care for beneficiaries assigned to them by Medicare. All ACOs meeting quality targets at the end of a given year receive a share of any savings generated relative to a predetermined cost benchmark; and depending on the type of ACO, some incur a financial penalty if they exceed the benchmark. According to CMS’ recent analyses, ACOs that take on higher financial risk are more successful in improving quality and reducing costs over time. So one important objective of CMS’ proposed changes is to increase the rate at which ACOs assume financial risk for their beneficiaries’ care. There is no meaningful difference between the performance of Medicare ACOs that accept only upside risk (the chance to make money) and ACOs that accept both up- and downside risk (the risk of losing money). But CMS’s administrator, Seema Verma, thinks otherwise. According to her, one-sided ACOs are raising Medicare’s costs while two-sided ACOs are saving “significant” amounts of money. She is so sure of this that she is altering the rules of the Medicare Shared Savings Program (MSSP). Currently only 18 percent of MSSP ACOs accept two-sided risk. That will change next year. According to a proposed rule CMS published on August 9, ACOs will have at most two years to participate in the MSSP exposed to upside risk only, and after that they must accept two-sided risk. That same day, Verma published an essay on the Health Affairs blog in which she revealed, presumably unwittingly, how little evidence she has to support her decision. The data Verma published in that essay revealed that one-sided ACOs are raising Medicare’s costs by six-one-hundredths of a percent while two-sided ACOs are cutting Medicare’s costs by seven-tenths of a percent. Because these figures do not consider the expenses ACOs incur, and because the algorithms CMS uses to assign patients to ACOs and to calculate ACO expenditure targets and actual performance are so complex, this microscopic difference is meaningless. Even if the difference is not meaningless – even if two-sided ACOs actually save a few tenths of a percent for Medicare – the impact on Medicare spending will be barely noticeable. Verma assures us, without a hint of embarrassment, that her new rule will cut Medicare spending by $2.2 billion over ten years. “The projected impact of the proposal would be savings to Medicare of $2.2 billion over ten years,” she declares in her blog comment. I feel like we’re in a scene from the Austin Powers movie where Dr. Evil announces he will hold the world ransom for “one meellion dawlers.” Dr. Evil’s sidekick, Number Two, has to advise him that a million dollars is peanuts. Verma’s estimate of 2.2 “beellion dawlers” is essentially zero percent of the trillions of dollars CMS will spend on Medicare in the next decade. Why Do We Need ACOs and Insurance Companies? Six years ago Ezekiel Emanuel and Jeffrey Liebman made the foolish prediction that ACOs would eat the insurance industry’s lunch. “By 2020, the American health insurance industry will be extinct,” they wrote. “Insurance companies will be replaced by accountable care organizations….” This would happen, they argued, because ACOs are just so darned good at lowering costs compared with insurance companies. 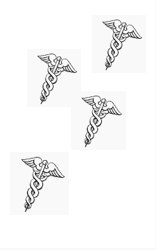 The first Medicare ACO programs began in 2012. Today there are 800 to 1,000 ACOs in business. But ACOs aren’t even close to displacing the insurance industry. The most obvious reason is they don’t want to be insurance companies – they don’t want to bear full insurance risk. And the reason for that is they can’t cut costs. The performance of the Medicare ACOs, which are the only ACOs for which we have reliable data, illustrates both problems: Very few want to accept “downside risk” (the risk of losing money if they can’t cut costs); and they are incapable of cutting costs. The Medicare Shared Savings Program (MSSP), or Accountable Care Organizations (ACOs), continue to be CMS’ flagship pay for performance (P4P) model delivering care via 432 MSSP ACOs located in every state to over nine million, or 16%, of Medicare beneficiaries. This year the agency did not announce 2016 performance year results. Instead, CMS posted without notice in late October a Public Use File (PUF) or spread sheet summarizing 2016 performance. What analysis CMS did provide was by CMS’ vendor, the Research Triangle Institute (RTI), several weeks ago to ACO participants via webinar. RTI’s slides are not made publicly available. Like performance year one (2013), two (2014), and three (2015), performance year four (2016) once again produced limited positive results. As stated last year, CMS does not evaluate the ACO program, therefore, ACO participants and Medicare policy analysts are left to decipher how success was achieved, what performance results mean for the MSSP program and in context of the agency’s overall efforts to reduce Medicare spending growth. Here is a bulleted summary of 2016 financial performance based on the PUF and RTI’s slides. In 2016 there were 432 ACOs that had their performance year results reconciled. Of these, 410 were Track 1, six were Track 2 and 16 were Track 3. Of the 432, 134 earned shared savings or 119 out of 410 Track 1s, six out of six Track 2s earned shared savings and nine out of 16 Track 3s earned shared savings. Four Track 3 ACOs owed $9.33 million in shared losses. Only 129 actually received shared savings checks because five of the 134 owed CMS for advanced ACO payments. Physician only ACOs once again were more successful than ACOs that included a hospital, or 41% versus 23% respectively. Also again longer tenured ACOs were more successful. Among the 2012-2013 ACO class 42% were successful compared to 18% of the 2016 starters. The 134 2016 ACOs earned in sum slightly more than $700 million in shared savings. Actual savings paid out was close to $650 million because imperfect quality caused ACOs to leave money on the table and because of Medicare reimbursement or sequestration cuts required the 2011 Budget Control Act. For 2016 30% of participation MSSP ACOs will receive a shared savings check compared to 29% in 2016, 26% in 2015 and 27% in 2014. Earned shared savings were again highly concentrated. The 15 highest performing ACOs received $265 million total in shared savings as compared to the 15 lowest performing shared savings ACOs that received $20 million in total. An August DHHS Office of Inspector General (OIG) report made note of this dynamic, i.e., about half of the spending reductions during the first three years of the program, or $1.7 billion, were generated by 36 ACOs and three ACOs in that group generated a quarter of the amount. Of the remaining 294 2016 ACOs, 107 fell within their positive Minimum Loss Ratio (MLR) corridor, 105 fell within their negative MLR corridor and 82 fell outside their negative MLR corridor. This last group, the worst performing ACOs, was 19% of all 2016 ACOs, significantly less than the 24% of the worse performing 2015 ACOs. Again, success was largely determined by an ACO’s financial benchmark. ACOs that earned shared savings in 2016 had a reconciled benchmark 10% higher than all other ACOs, or respectively $11,614 per beneficiary versus $10,563 per beneficiary, or a benchmark 7% higher than those within their positive MLR corridor and 12% higher than those that fell below their negative MLR. The OIG report reached the same conclusion. During the first three years of the program, ACOs that received shared savings had a $11,748 per beneficiary benchmark compared to a $10,284 per beneficiary for ACOs that did not receive shared savings, a 12% difference. As noted last year, because of this successful ACOs only had to comparatively spend a trivial amount less than their financial benchmark to be successful. In my first post in this three-part series, I documented three problems with Pioneer ACOs: High churn rates among patients and doctors; assignment to ACOs of healthy patients; and assignment of so few ACO patients to each ACO doctor that ACO “attributees” constitute just 5 percent of each doctor’s panel. I noted that these problems could explain why Medicare ACOs have been so ineffective.